The first modern Mali flag came into use when the nation gained its independence from France in the decades following the second world war. It shares many design features with the flags of other African nations, particularly the flag of Ghana, which served as the inspiration for the modern Mali flag. 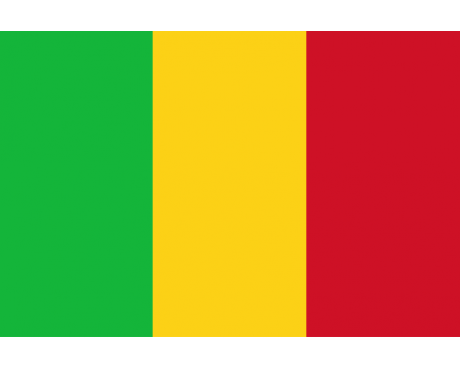 The flag of Mali is a tricolour with three equal vertical stripes. From the hoist (the place where the flagpole meets the flag) the colors are green, gold, and red, the pan-African colors. 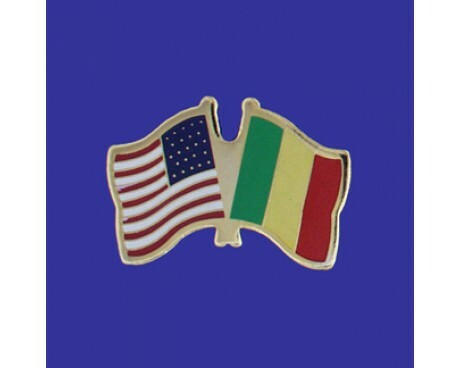 The flag is identical to the flag of Guinea, with the exception that the colors are in reverse order. 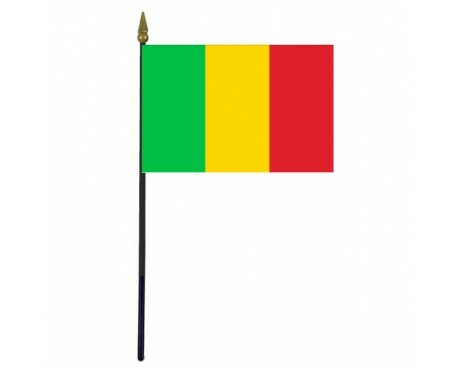 Mali flags are vertical tricolors of green, gold, and red. Those colors derive from the flag of the Pan-African movement, which played a major role in the decolonization of Africa. 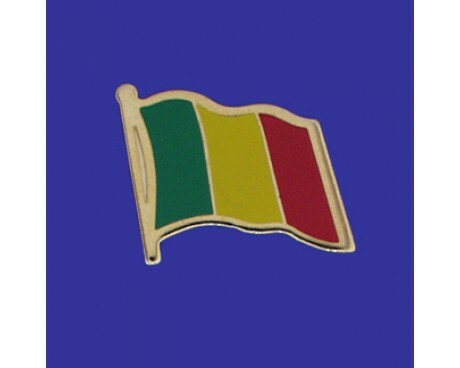 Their use is a symbol of unity with the other nations of Africa, but each of the colors also has its own meaning when used as part of Mali's flag. The red band represents the blood that the people of Mali shed during their independence movement, the green represents land's fertility and natural wonders, and the gold band is a symbol of the nation's mineral wealth and spiritual purity. The first of the two Mali flags to be used in the modern era was that of the Mali Federation, which linked the country with several other former French colonies in the period immediately following decolonization. The flag came into use in 1959, and it used the same three bars as the modern flag. It also included an emblem in the center. The emblem a kanaga, which is a traditional depiction of the human form in the culture of Mali. The flag's colors were taken from the flag of Ghana, which took them from the Pan-African movement. The flag's designer chose those colors in order to express Mali's solidarity with the rest of Africa. The flag of Mali used vertical bars rather than Ghana's horizontal bars in order to make the flag more distinct, which resulted in a flag that resembles the French flag in African colors. Mali left the Mali Federation in 1960, but it retained the Federation's flag for another year before it changed. The nation's large Muslim population frowned on depictions of the human form, so they asked the government to remove the emblem from the flag. The government did so in 1961, and in doing so they created the modern flag of Mali.